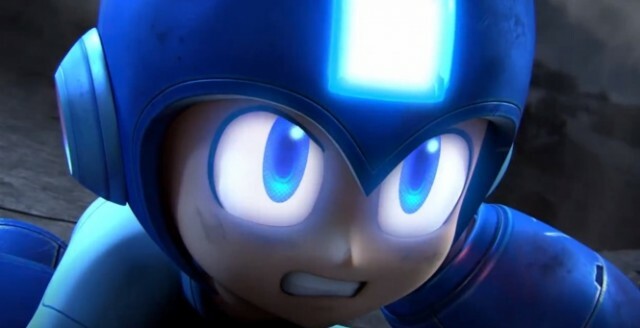 Mega Man is determined to make it into Smash Bros., but he won't get there until next year. Nintendo may not have had a traditional press conference at this year's E3, but it used a Nintendo Direct video presentation this morning to prove that the Wii U isn't shrinking away from new competition in the form of the Xbox One and PlayStation 4. 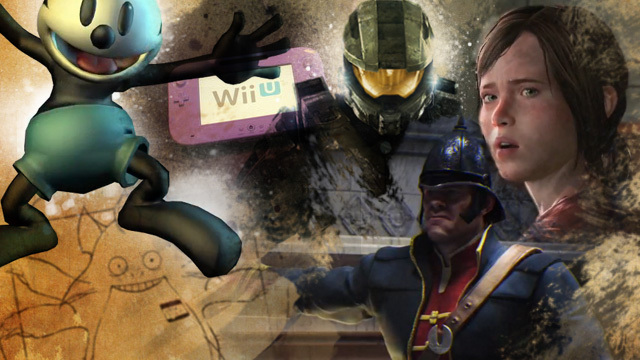 The 45-minute-long presentation showed quite a variety of new and old franchises for the Wii U from both third-party developers and Nintendo itself. The only problem, as far as Wii U owners are concerned, is that some of the most interesting announcements won't become actual games until next year. Want the first-ever HD Mario Kart game? You'll have to wait until the spring of 2014. Want to play as Mega Man in a new Smash Bros. game (I know I do)? It will happen… next year. The exclusive sequel to the stylish and fatal Bayonetta still exists after its long media silence, but it won't hit Wii U consoles until next year. A new open-world adventure franchise called X from the creators of Xenosaga looks intriguing, but you won't be playing it until… yup, 2014. A system's second holiday season is usually when its game library really starts to mature and we get to see what that system can really do. Given that, it's a bad sign that some of Nintendo's biggest franchises won't be able to make the crucial holiday sales rush this year. There will be no on-stage antics like this from Nintendo at this year's E3. For the first time since the annual industry conference started in 1995, Nintendo will not be holding a major press conference at the Electronic Entertainment Expo (E3) this year, instead "working to establish a new presentation style for E3." Nintendo announced the surprising change in its promotional plans via an investor presentation by Nintendo President Satoru Iwata overnight. Rather than holding a major E3 press event to appeal to different audiences around the world, Iwata says Nintendo is "planning to host a few smaller events that are specifically focused on our software lineup for the US market" for this year's show, one for American distributors and another for the Western press. Iwata also cryptically mentioned that Nintendo is "continuing to investigate ways to deliver information about our games directly to our home audience around the time of E3," suggesting that it might be planning some sort of video presentation directly to consumers via the Web (or the Wii U) during the show. While Nintendo will still be showing off new Wii U and 3DS titles on the E3 show floor, the move represents a significant change in marketing tactics for the major console maker. It would be like Apple deciding to announce the next major revision to iOS not with a worldwide developer-focused keynote address, but by simply setting up a booth at Mobile World Congress and inviting the press and select developers to try it out during a cocktail hour. 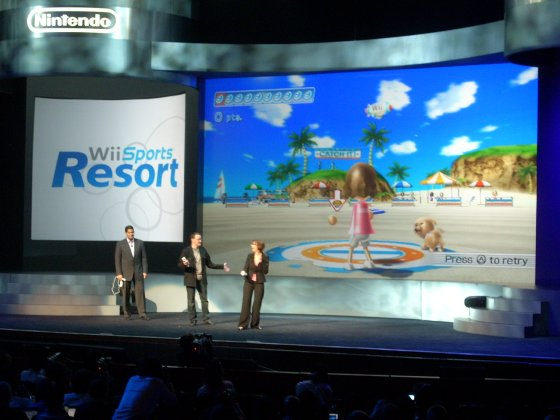 At Nintendo's E3 press conference this morning, Nintendo of America President Reggie Fils-Aime said NintendoLand would serve as the new system's version of Wii Sports; a killer app that could immediately convey the appeal of the system's new controller to a skeptical audience. 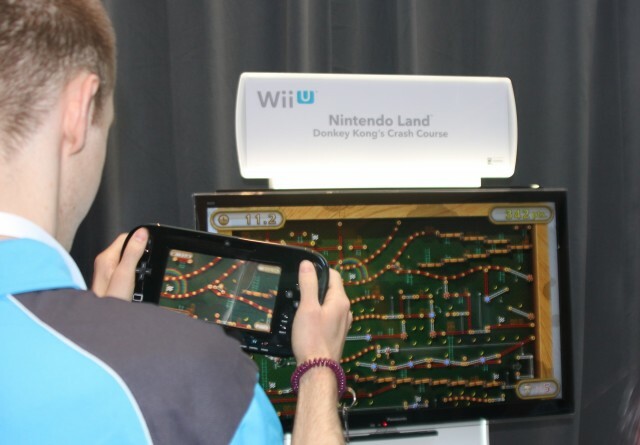 And in fact, NintendoLand does a good job of demonstrating what can be done with the touchscreen-equipped GamePad, but I'm not sure it will attract the same, wide audience of non-traditional gamers that Wii Sports did. The main problem with the five NintendoLand mini-games the company is showing at E3 is that they tend to require quite a bit of explanation to understand. Take Animal Crossing: Sweet Day, a slightly tweaked version of the hide-and-seek tech demo Nintendo showed off at last year's E3. Before we got going, a PR rep had to spend about a minute explaining how the four players with Wii Remotes are working together to collect candy, how carrying more candy slows a player down, and how to drop candy when the antagonists (controlled by the GamePad) got too close. It's not too complicated by video game standards, but it's far from the five-second "swing it like a tennis racquet" explanation of Wii Sports, and it's likely enough to scare away anyone not already versed in how games work. Similarly, the player using the GamePad in Sweet Day has to control two separate characters using the GamePad's two analog sticks, a concept that is a bit difficult to master even for people with a lot of video game experience. Trying to get your non-gaming grandmother to play this role in NintendoLand seems likely to be a lot tougher than getting her to try a few frames of Wii Sports bowling. 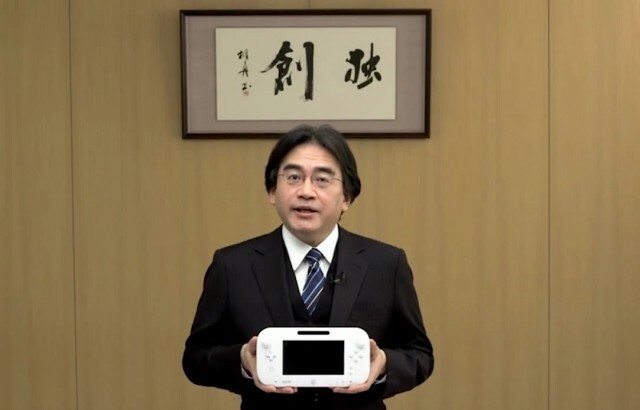 Nintendo president Satoru Iwata holds the new Wii U controller design. 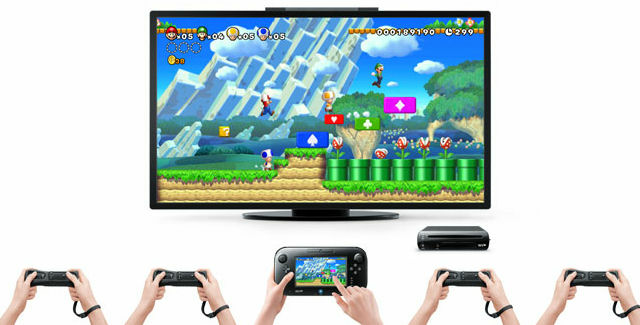 Promising that Nintendo's pre-E3 press conference on Tuesday will focus "almost entirely on games," company president Satoru Iwata used a streaming Web presentation today to announce new details about the unique tablet controller and social functions of the upcoming Wii U.
Iwata began a bit philosophically, showing a picture of a standard nuclear family sitting together in a living room, each member with their head buried in their own separate digital screens. "People are gathered together in the same room with friends and family, but they are not truly connected. They are paying more attention to their devices than each other." Referencing Shelly Turkel's book Alone Together, he acknowledged that technology has improved our lives, but added that "we have to wonder what this will mean for the nature of human relationships moving forward." 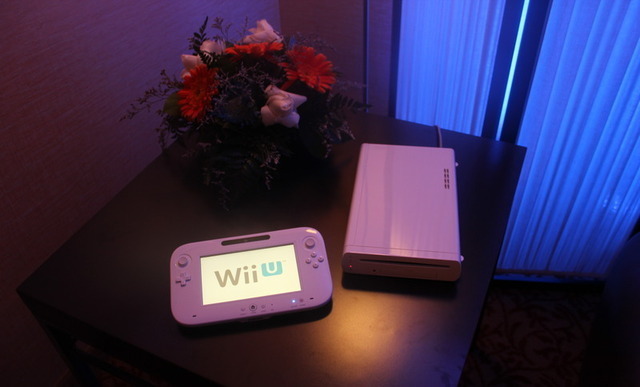 We don't know the price of the just-announced Wii U console from Nintendo. We don't know the release date. We don't know the technical specifications (asking Nintendo employees about what's in the hardware, or even the resolution of the screen, has proven futile). What do we know? That Nintendo doesn't want to make this system about technology alone. What Nintendo is showing to the press is a series of proof-of-concept experiences designed to show what the hardware can do. We're already sold. The controllers are said to include a touchscreen, giving games another way to share information with the players, as well as a supplemental control option. The controller will also support the standard buttons and pads we're used to, much like the Wiimote, which acts as a physical controller when turned on its side. "A third option we've been hearing from several sources involves the new console streaming the same game that can be output onto a TV onto the controller screen, allowing high-end games to be played portably while within an unspecified range of the console," Kotaku reported. All this is based on what are most likely sources within the developer community, and remember that final specs could change before the hardware is finalized. 8GB of storage seems low by modern standards, and that amount all but rules out full game downloads. For older titles and smaller digital releases it may be enough, however, and will likely be supplemented by user-provided memory cards. The 25GB discs are much larger than standard DVDs, and would be a boon for developers and publishers tired of releasing games across multiple discs. The Tendo Project – Daily Nintendo News is powered by	WordPress 5.0.4 and delivered to you in 2.448 seconds using 43 queries.